Human curiosity is an interesting phenomenon; it is reportedly most awakened in the case of the conundrum. 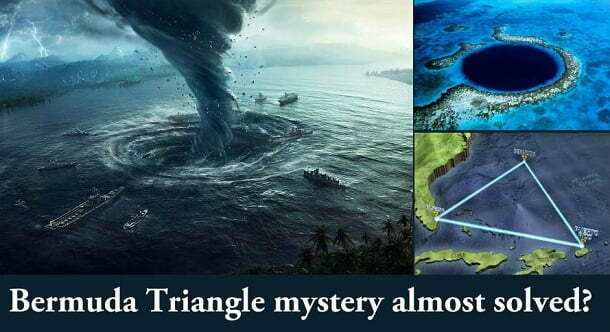 The ambiguity of Bermuda Triangle is just more than a case of mysterious disappearances and crashes. It is being scientifically reported that we as ‘humans’ don’t use their brains to the full potential so anything that our brains are not able to process is usually tagged as supernatural or paranormal. However, the question remains is Bermuda Triangle really a Devil’s Triangle? Or is it just being commercialized by some pulp magazine writers? 1. Alien Abductions, Paranormal Disappearances it is all here to soothe your appetite for the thrill! Bermuda Triangle is a geographical area that started to get a distinction with some incidence in the early 20th century. Two of the main incident that stirred up the theory of aliens and supernatural activities are USS Cyclops and Flight 19. USS Cyclops: After departing from Barbados’s port on March 4, 1918, the collier was reported missing with all the 309 crew members. No eye witnesses were reported in the regards to this incident and no-one came forward. Many theories were brought to the table but none of them were able to clear the mystery behind such a big loss of human lives and the ship itself. Flight 19: Another big incident related to Bermuda Triangle came into light during the time of World War II. A training flight of 5 TBM Avenger planes took off for a training session over the Atlantic. However, the flight never made it back to its destination. The mid-air disappearance of 5 fighter planes with the crew inside was attributed to navigational error. Even this theory was not able to stop the questions that were raised about supernaturally of this scenario. Did Mystery Unveil or Deepen? Such incidents,which a human brain was not able to solve or process gave birth to the mystery that is still lingering with the word Bermuda Triangle and along came many explanations. 2. Paranormal Explanations: Many writers on the subject and strong believers are very much sure that rather than a logical explanation there is something supernatural about all the incidents. Many believe that the disappearance of large ships and planes with their crew members is all because of alien abductions. Some also claimed to see UFO in that particular region. 3. Magnetic Anomalies: According to some the Earth’s magnetic field work quite differently at the Bermuda Triangle, hence interferes with the navigational tools especially compass. Leading to navigational error which can result into crashes or diversion of the ship/planes. 4. Methane Hydrate: One of the scientific explanation but not exactly proven is the methane hydrate fields on the seabed in the Gulf of Mexico. According to this theory, eventual methane eruption can lead to phenomena of mud volcanoes leading to frothy and muddy sea water. This makes ships hard to stay on the surface and leads them to sink. 5. Gulf Stream: A stream or a river within the ocean, it flows from the Gulf of Mexico to North Atlantic. It is a major surface current which causes it to carry a small plane or boat and causing trouble with the engine. The surface velocity is reported around 2.5 meters per second, enough to carry light weight boats from one place to another. All these explanations are there but they are not able to make a stronghold on the logical mind of mankind and we are still searching for a reasonable answer. There have been some developments and researches in the matter of “deadly” Bermuda Triangle which has kind of solved the great mysteries and theories related to this geographical area. And here we are shedding some light on the same. So we heard some big theories, claims, and suppositions related to the paranormal behavior of the incidents recorded near the Bermuda Triangle but is it really a big alien abduction? Or just some cheap antics by some writers to gain their 15 minutes of fame! Let us open our mind and try to absorb the stated facts by different government authorities. 1. Busiest Sea Route: Being an area between Latin America, North America and Caribbean Islands Bermuda Triangle do receive some glory and that is not of being Devil’s triangle. 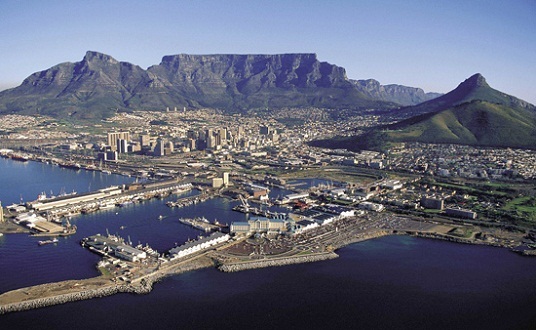 It is one of the busiest sea routes and heavily traveled shipping lane. So no supernatural activities are going on their otherwise it was not possible to gain the title of one of the busiest sea channel. 2. No Geographic Recognition: Even after so much of recognition in multiple thrilling tales this hypothetical triangular area does receive any recognition from the United States Board of Geographic Name. Yes, it is true it is only made up the ones who are trying to make money of the incidents that took place in this particular region of Atlantic Ocean. 3. Bad Weather Always: The disappearances and the incidents can have one more rational explanation that does not need anyone to back it up. This particular region is a place where tropical cyclones are frequently reported and most of the time weather conditions remain unfavorable for sailing or flying. 4. Not Dangerous Waters: Although many people have exaggerated the danger quotient in this particular sea region, but according to a report it does not even fall under the list of top 10 dangerous waters around the world. According to World Wide Fund for Nature, Bermuda Triangle was not able to make it to the list of most dangerous waters in the world. Aww! It must be hard for some of you out there who were making unverified claims regarding the despicable-ness of Bermuda Triangle. The recorded incidents of any mis happening in the Bermuda Triangle are much less compared to the Gulfs in South-Asia and Africa. All this records and research leads to one and the most important speculation that Bermuda Triangle is being tarnished by some of the people out there who are just minting money by false claims and unverified theories. The simple researches and reviews of the relevant incidents were able to prove otherwise than these false theorists. Providing some fictional entertainment is one thing but solidifying a completely non-sensical subject is another and churning money out of it leads others to do the same. So in short Bermuda Triangle is a made up geographical area which is kind of not that dangerous. So long fellas!